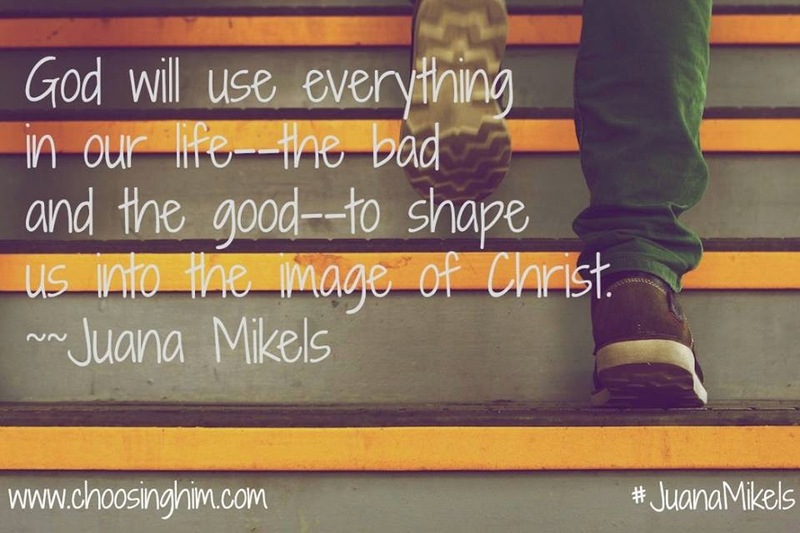 JuanaMikels.com: Mary Meets #SusanBoyle & Wednesday's Prayer Girls & LinkUp Party! Mary Meets #SusanBoyle & Wednesday's Prayer Girls & LinkUp Party! I once read that Pastor Rick Warren used to think that life was a series of hills and valleys. He had since changed his mind that life was more like walking down a railroad track, with the highs and the lows occurring at the same time. While he was experiencing tremendous success with his Purpose Driven Life Book, his wife was battling cancer. On a very small scale (nothing in comparison to what Rick Warren went through as described above), I just came through a similar week. One at a time our family members became sick with apparent bad head colds, only mine kicked it up several notches as I had to be hospitalized. I could not even get a sip of water to go down my throat: Strep throat was sweeping through our family! I am on the mend now and so happy to be able to do the things we wives and moms love to do: take care of our family. Doing the simple but needful thing, like preparing supper and washing dirty clothes. Finally, today, I turned a corner and am getting back into the saddle! Thank you, Lord. 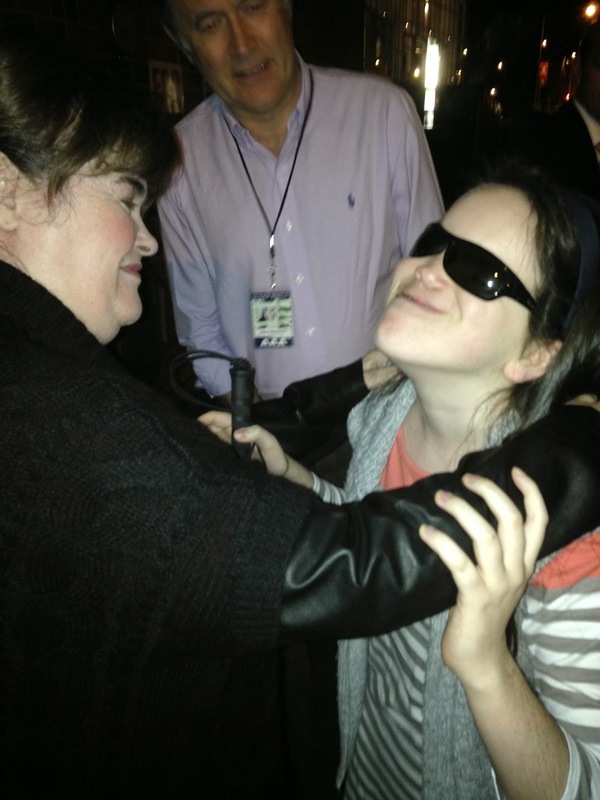 While this was going on, my daughter Mary, went to see singer Susan Boyle perform live. I was to go with her, but as my doctor put me in ICU (that is not a typo, I thought it was a mistake too, but he was worried about getting oxygen down my throat as the camera he put down my nose to look at my throat gave him great concern for air passages to be clear (He put the camera down three times, I really know how to do it now!) While I was lying in the hospital bed a sudden text from my son, John, who took Mary to the Susan Boyle Concert, popped up that said, "Are you up?" I saw the light go off on my phone, and since it was nearly eleven pm, I answered it saying, "Yes." Next John sent me the below picture of my sweet Mary meeting Susan Boyle! My body was weak, but my spirit soared with happiness for her. 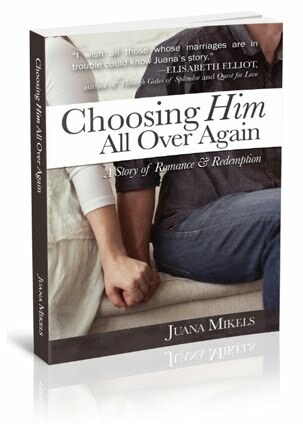 On the same day, as I lay in that bed, my book became available on Amazon. (The official release is January, but yes, you can order it from Amazon to have it under the tree). 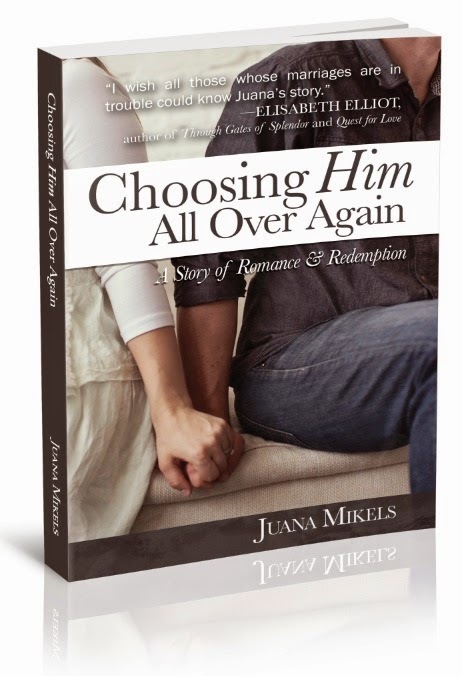 It is the story of how God saved our marriage. But it is not only for hurting marriages. 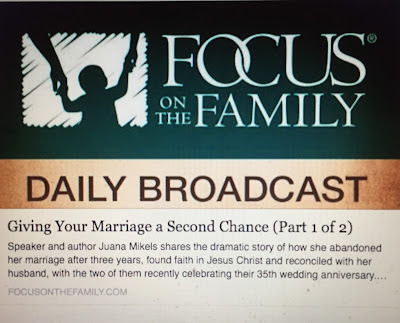 My prayer is that God will have something for each reader whether single or married, strong marriages or troubled marriages, and long term married or newly married. We cannot be confronted with God's Word and not be changed as we receive what His Word says to us. So you see, I agree with Rick Warren. The highs and lows occur at the same time, it's all part of life. By the way, I made spaghetti tonight for my family, and as I type I can hear the hum of the dryer tumbling the clothes. It's so good to be home. If you are a Christian blogger, I'd like to invite you to join my blogger launch team of over fifty bloggers that receive a PDF copy of the book, graphics from the book with key quotes from the book, and more. Do as little or as much as you like. Would love for you to write one blog post on it, by January. 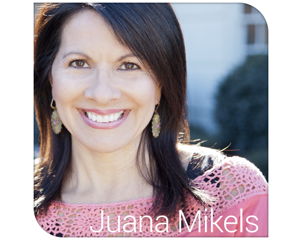 Just write me at juana(at)juanamikels(dot)com and say, "I'd like to be on your blogger launch team!" 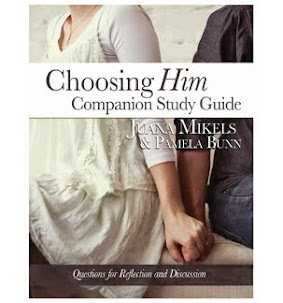 Oh, and there is also a FREE downloadable Choosing Him Companion Study Guide. Feel free to blog an online study with your readers with it! I had another huge blessing while I was sick. Her name is Amy. Read about her in the comments as she is a huge praise! I am praising God today for His healing and renewed strength after strep throat, and for sending me Amy Talbott to help me in practical ways as we march toward the January launch of the book. I praise God for her practical and administrative skills and her humble spirit which is so evident. I also praise God for each blogger who has joined the team no matter how small or large their blogs were. Thank you, Lord!!! You grant to us even while we are asleep and can do nothing. What can I pray for you? Thank You Father for Juana'a healing, and for the gift of Amy to help her while she was sick. You not only are our Healer, but You are our Provider in every way! In the Precious Name of Your Son, Jesus, Amen. Happy to hear you are doing better. How exciting for your daughter to meet Susan Boyle. They both have such beautiful voices! Oh Cathy! How did you know I wanted to talk to you! I am SO HOPING that you will join the blogger launch team. All it means is you will do as little/much as you want and we provide quote graphics from the book, buttons for your blog if you'd like, etc and we get you the PDF so you can begin reading. You would be such an asset! Forgive me if you already are, and I did not know. LOVE to have you on the team, and I will send you what you need. I'm so glad you're starting to feel better. Also, I am enjoying your book so much! Beautifully written. I'm so thankful to be on your launch team. I'm praying over this message that it inspires couples everywhere. God's blessings! I know the feeling, Joy, don't we all of trouble with computers!! Lord we live up the financial need that Joy's family has now, and pray for your total provision of their daily need. All of our hope is in You, Lord. In Christ's powerful name we pray, Amen. Am LOVING the book! And am making notes as I go of those who will benefit from it. PRAISES that we get to keep sweet Libby tomorrow night! Prayers as she is starting to have some issues. Specific prayers for her little brain to heal completely! Right now it is showing in some vision issues. But love, love, love the sweet little thing and are SO thankful for her. So happy that you get to keep Libby, I am thinking it was last night? Wonderful. You are such a blessing to so many on so many different levels Jana of whom I am just one. THANK YOU for being on the book team!!! Thank you for making time to read it.!! Love you!